The high up-front cost of product development was hindering the development of an innovative energy absorbing bus bumper system conceived by Talfourd-Jones Inc., parts makers for leading original equipment manufacturers. 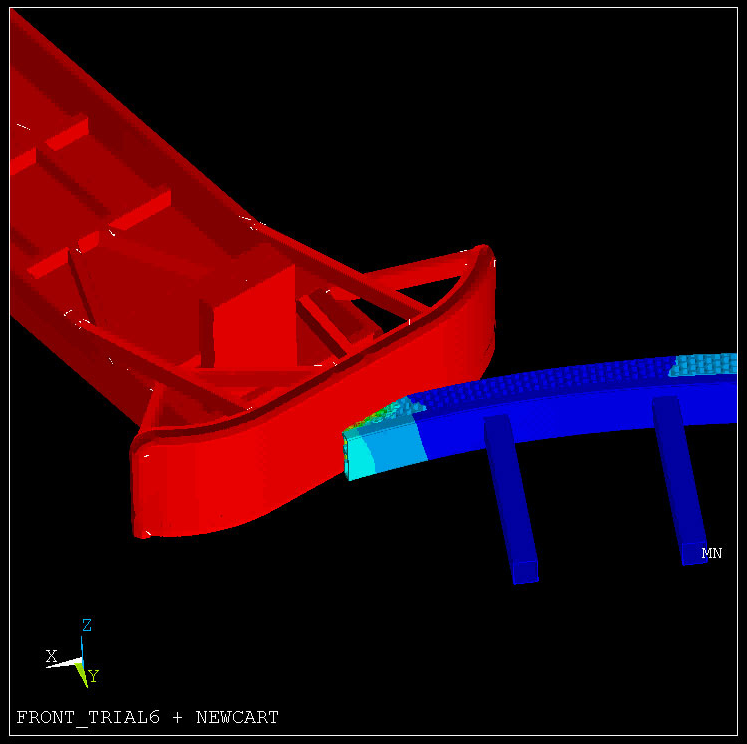 By retaining the simulation services of MSC.Software Professional Services, Talfourd-Jones Inc. was able to test and prove the concept for the bumper system before investing in the tooling required to produce the technology. The bumper must protect the bus from any damage as a result of 6.5-mph direct impact into a rigid barrier and a corner impact from a common carriage. In addition, the bumper must return to pre-impact shape within 10 minutes of the impact. The primary system for meeting the impact requirements is through energy absorbing bumpers mounted on the front and rear. To meet this requirement, the Reflex bumper was designed to progressively collapse, cushioning the vehicle from a collision. Following impact, the bumpers return to their original shape without permanent damage or degradation in strength. Easy to adapt for a modular design, minimizing tool costs and allowing easy installation for the bus service departments. Easily modified, so the design can be tailored to other energy absorbing requirements by modifying cell wall thickness. Easy interface with support beam, by incorporating a simple tongue for insertion into beam groove. 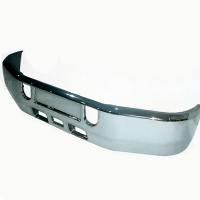 Provides a strong vertical support for front bumper step requirements.